Are LED Emergency Lights Really Worth It? You’ve all heard the buzz about LEDs recently. In truth, light-emitting diodes have been around since the 1960s. Over the last five years, the price of these diodes has come down significantly and while there is certainly room for improvement, the technology has become more reliable. We are seeing LEDs used for lighting in a multitude of applications including everything from street lights, to freezer lighting, to the taillights of your automobile. As the cost of the diodes decline the advantages over other light sources including lower energy consumption, longer lifetime, durability, smaller size, and faster switching have led to greater use in lighting applications. With the increasing number of these applications on the market it begs the question: Are LED emergency lights and their premium price, worth the investment? The answer is yes, and no. The key to consider is the length of time the LEDs are actually being utilized. Emergency lights are designed to operate and illuminate an area of egress for up to 90 minutes (or 120 minutes in some states). When emergency lights aren’t in use the LEDs provide no value. Since emergency lights are only illuminated during a power failure or test, the actual usage or runtime of the lighting instrument (LED in this case) is minimal. 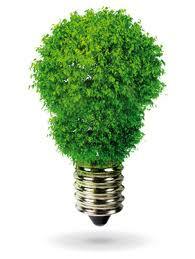 Even with a few power failures per year, the standard incandescent lamp will last many years. There is no significant energy savings obtained since the units are on so infrequently and, when lit, they are powered by the DC battery installed in the unit. A case can be made for the increased light output the diodes provide compared to an incandescent, as well as the reduced amount of wattage the LEDs require. Approximately 30% more light output can be obtained from a 1.5w LED light-head on an emergency lighting unit vs. a standard incandescent DC wedge lamp. Since the LEDs are a much lower wattage than the standard incandescent lamps the voltage of the battery can often be reduced from a 6v 4ah standard NiCad battery a 3.6v 1.8ah battery. Currently, the costs for either battery are about the same however so there is no savings there. The greater opportunity for LEDs in life safety applications exists with exit signs. Exit signs with LEDS as well as screw-in LED retrofit kits have been on the market for over 10 years. Because they are powered 24/7/365 with an A/C power source, the benefits gained are significant. Savings is attained not just due to the decrease in wattage, but also in both material replacement of incandescent lamps and the labor to replace the expired lamps. The breakeven is almost instant. In fact, there are just a few incandescent exit signs still manufactured today.